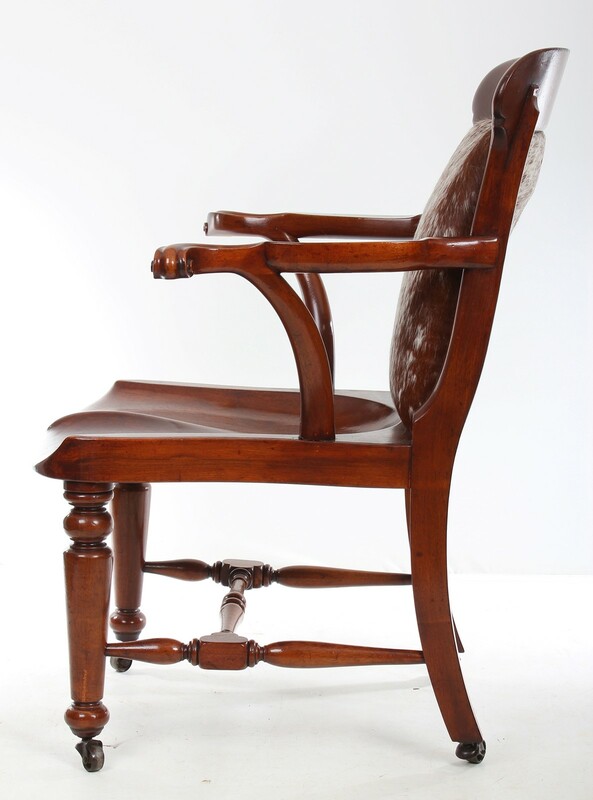 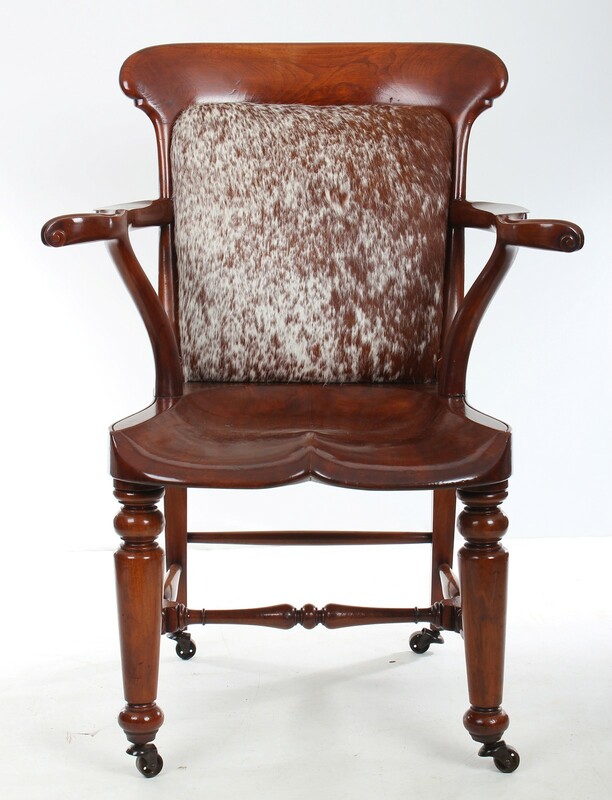 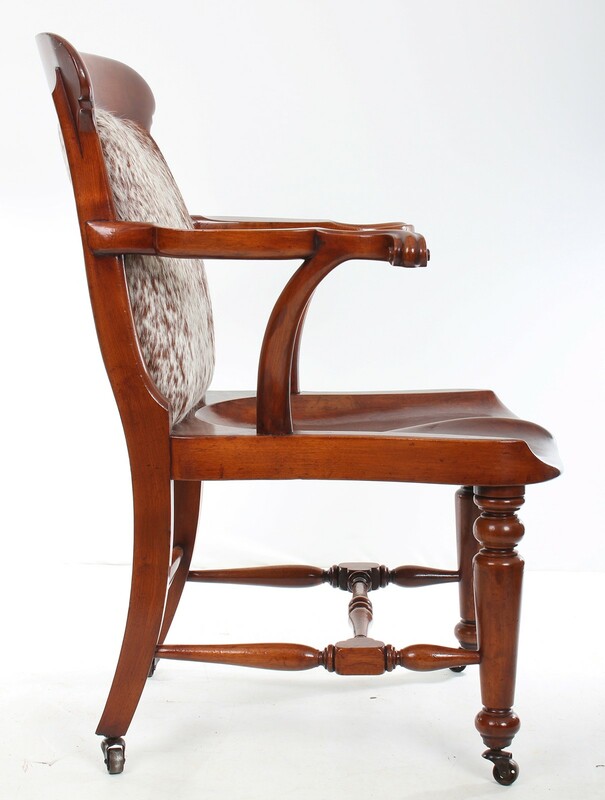 Circa 1840, A superb quality solid mahogany victorian desk chair in showroom condition. 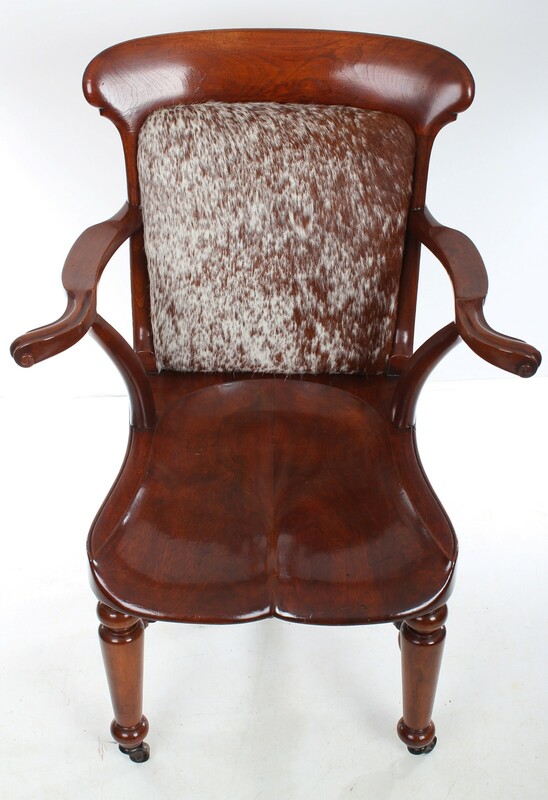 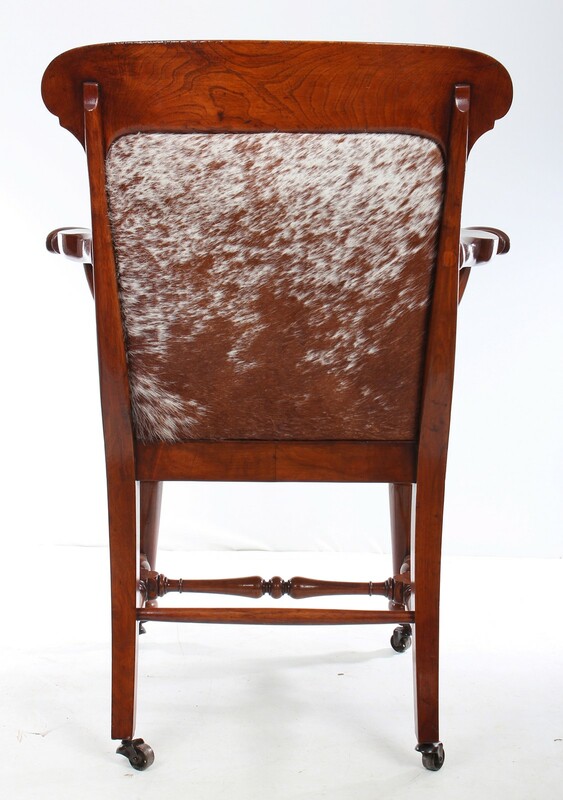 On castors for easy movement, this chair boasts a great colour and has been leathered in a brown and white cow fur. 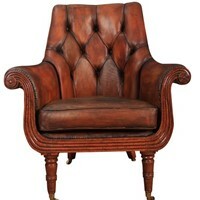 Beautifully shaped seat for extra comfort. 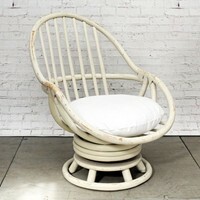 On a stretchered base. 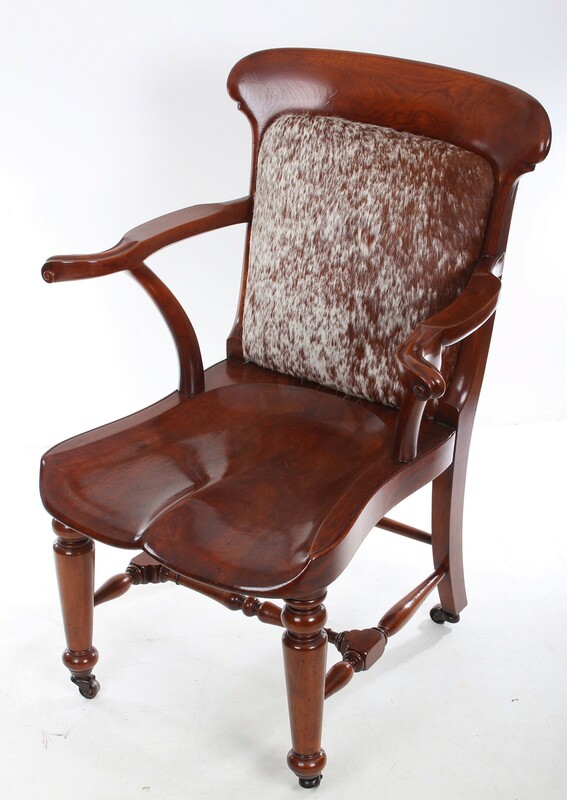 A fantastic solid chair, ready to go into the home or office.